Copyright held by Canadian Architect Magazine. A print that belongs to these negatives is found in file 2009.002.007. Negatives of the area before construction are found in file 2009.002.2064. Jackson, Anthony. 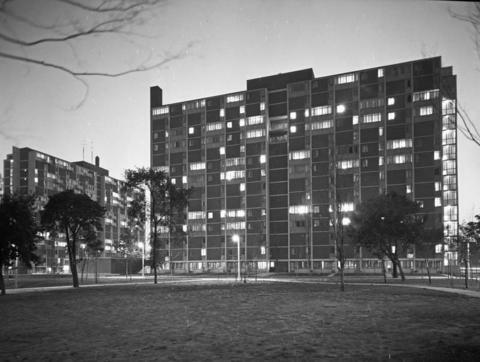 "Apartments Regent Park South Toronto." The Canadian Architect September 1959: 62-73.